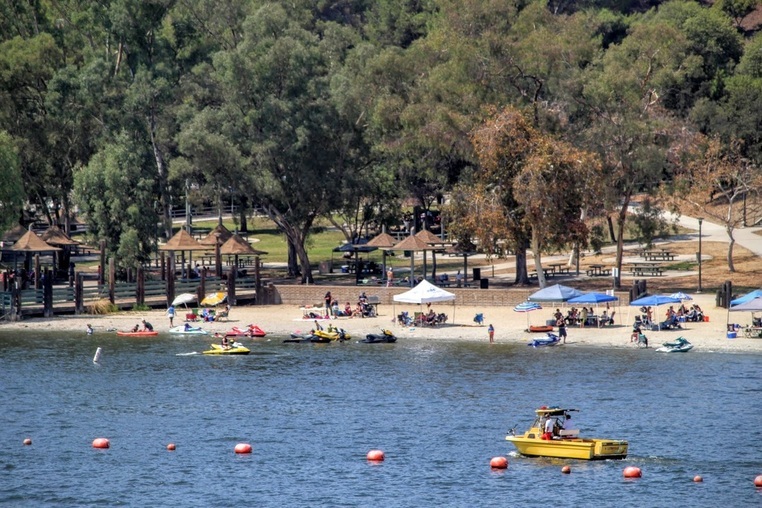 “Due to the extremely low water level in Puddingstone Lake, we will have to start restricting larger vessels from launching. The current lake elevation per the Dam Keeper is 937.65. At that level, the end of the ramp is only 30 feet from water’s edge. To prevent patrons from damaging their boats and trailers, we will immediately institute a hard cap of 24 feet for boat launches. Additionally, any boat over 22 feet must be checked by lifeguards to ensure that they are safe to launch. As the water continues to get lower, we will need to adjust the allowable length down to compensate. Please call Bonelli Park for current conditions. Boating is permitted daily from sunrise to sunset. Boating activities include water skiing, fast and slow boating, sailing, sailboarding and stand up paddle boarding. Two powerboat launch ramps are located on the North Shore and two non-power launch ramps are located on the South Shore. From April 1st, through September 30th, we employ the ODD-EVEN SYSTEM, which separates power boating/water skiing from Personal Water Craft (P.W.C) on different days of the week. The speed zone is reserved for Personal watercraft on odd calendar days and power boating & water skiing on even days. Boating is permitted daily from sunrise to sunset. Fast boating begins at 10:00 AM until one hour before sunset each day. All boats are inspected prior to launching and boaters are required to comply with California Boating Laws and Title 17 of the Los Angeles County Code. Mandatory Inspections. All boats and non-motorized watercraft will be inspected prior to launching. Zero Tolerance! Boats Must be 100% dry! ​Do Not Run Water through your engine/motor before coming to the lake. 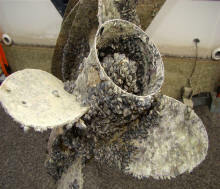 If it is not 100% dry, your boat will fail the inspection and not allowed to launch for 7 days. Part 2. Starting The Boat Inspection. ​Part 3. Pulling The Plug. Part 4. Getting In The Boat. Part 5. Bass Boat Inspection. 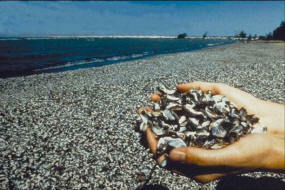 DON'T LET THIS HAPPEN TO OUR LAKE! As of October 2016, Puddingstone Lake still appears to be Quagga/Zebra mussel-free. PLEASE! ...Help us keep it that way! 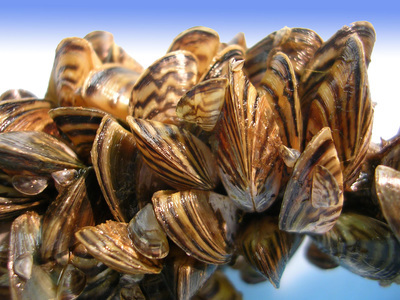 All boats entering the water are subject to inspection for quagga mussels prior to launch. All registered boats must have a current quagga mussel sticker. You will NOT be allowed to launch your boat if you have been to any infested lake and/or still have any standing water or dampness on your boat or trailer. Boating can be fun and safe please make sure to always wear a lifejacket. Remember lifeguards patrol the lake to enforce rules for the safety and wellbeing for yourself and others.